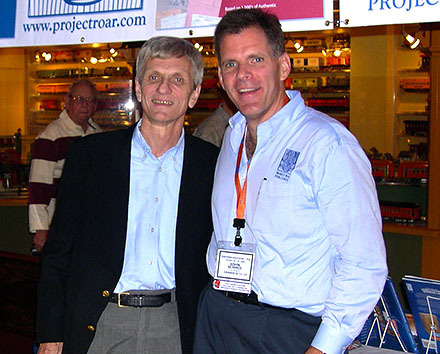 John is the co-founder and President of Project Roar Publishing. He has been collecting trains with his father for as long as he can remember. "It was Christmas all year long" as the layout in the basement continually grew. While still actively collecting trains, John pursued a career in the software industry running sales divisions and organizations for companies such as Siebel, Hyperion and NCR. 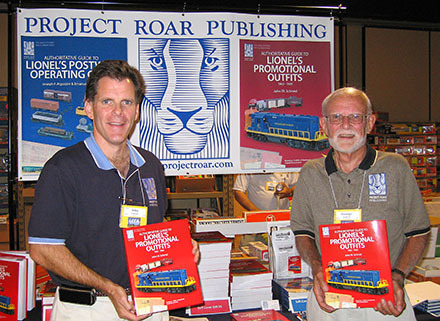 After the auction of 2001, when the Lionel Factory Orders were purchased, John caught the "paper" and historical bug and dedicated himself to publishing these newly found documents. He transitioned from the software industry to start Project Roar Publishing with his father. John is the author and photographer of the Authoritative Guide to Lionel's Promotional Outfits 1960 - 1969, the co-editor and image manager of Inside The Lionel Trains Fun Factory: The History of a Manufacturing Icon and The Place Where Childhood Dreams Were Made, and the co-editor and photographer of the Authoritative Guide to Lionel's Postwar Operating Cars. John holds a Masters in Management (MBA) in finance, marketing and entrepreneurship from Northwestern University's Kellogg Graduate School of Management and a bachelor's degree in Computer and Electrical Engineering from Purdue University. George is co-founder and CEO of Project Roar Publishing. George started collecting trains in the late 1950's, when his biggest purchase was a Lionel no. 2296W Canadian Pacific passenger outfit (which he still owns). Trains were always around the family home, and George "infected" his three children with the train bug. 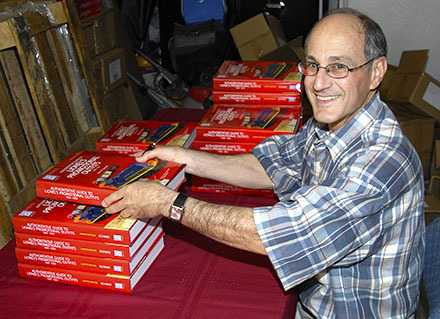 George retired in 2000, which allowed him more time to spend with his trains and his new interest, preserving the history of Lionel and other train manufacturers. After the purchase of postwar Lionel Factory Orders at auction, George sought to give back to the toy train collecting community as much as it has provided to him. Thus, instead of burying these documents in a basement, he helped to form Project Roar to publish and share this wonderful historical information. George is the co-editor of Inside The Lionel Trains Fun Factory: The History of a Manufacturing Icon and The Place Where Childhood Dreams Were Made and the Authoritative Guide to Lionel's Promotional Outfits 1960 - 1969. Robert J. Osterhoff, a retired executive of the Xerox Corporation, has conducted extensive international management consulting, specializing in the practices of business effectiveness, benchmarking and knowledge management. He served on the Board of Examiners of the Malcolm Baldrige National Quality Award and as Treasurer and Director of the Baldrige Foundation. A graduate of Loras College in Dubuque, Iowa, Bob received a master's degree in business administration from Rochester Institute of Technology. Inside The Lionel Trains Fun Factory: The History of a Manufacturing Icon and The Place Where Childhood Dreams Were Made is Bob's third book, having previously authored Greenberg's Guide to Lionel Paper and Collectibles and Greenberg's Guide to Lionel Prewar Parts & Instruction Sheets. Bob and his wife, Laura, have three married children and six grandchildren, and they live in the St. Louis area. Joseph P. Algozzini is one of the leading postwar Lionel historians in the country. He began collecting Lionel trains in 1965 and has written extensively on them for Classic Toy Trains magazine and other journals. 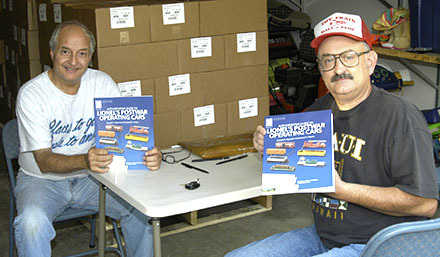 Joe is the co-author of the Authoritative Guide to Lionel's Postwar Operating Cars and Greenberg's Guide to Lionel Trains, 1945 - 1969 Volume IV: Uncataloged Sets and the author of Lionel's Postwar F3's, Lionel's Space and Military Trains and TCA's Postwar Lionel Reproduction Handbook Guide. As a member of the TCA Standards Committee, he has helped increase the level of awareness and importance of original postwar items. Emanuel F. Piazza has been a collector of Lionel trains since the late 1960s and is also a leading postwar historian. He is the co-author of the Authoritative Guide to Lionel's Postwar Operating Cars, a contributor to Lionel's Postwar F3's and the author of articles for Classic Toy Trains magazine. Manny, a past president of the Midwest Division of the TCA, lives in Addison, Illinois, with his wife LaVerne. Roger Carp has been a member of the editorial staff of Classic Toy Trains magazine since 1988 and now holds the position of senior editor. He is the co-editor and contributor to Inside The Lionel Trains Fun Factory: The History of a Manufacturing Icon and The Place Where Childhood Dreams Were Made, Authoritative Guide to Lionel's Promotional Outfits 1960 - 1969 and Authoritative Guide to Lionel's Postwar Operating Cars and the author of The World's Greatest Toy Train Maker: Insiders Remember Lionel, Lionel Classic Display Layouts You Can Build, The Art of Lionel, and Great Toy Train Layouts. Roger lives in Whitefish Bay, Wisconsin.